Phenylalanine is an essential amino acids, meaning it has to be gotten through a healthy diet. It can be found in foods like meat, fish, eggs, dairy products, nuts, and legumes. However, if your daily diet is light in these foods, you may not be getting enough phenylalanine for optimal health. 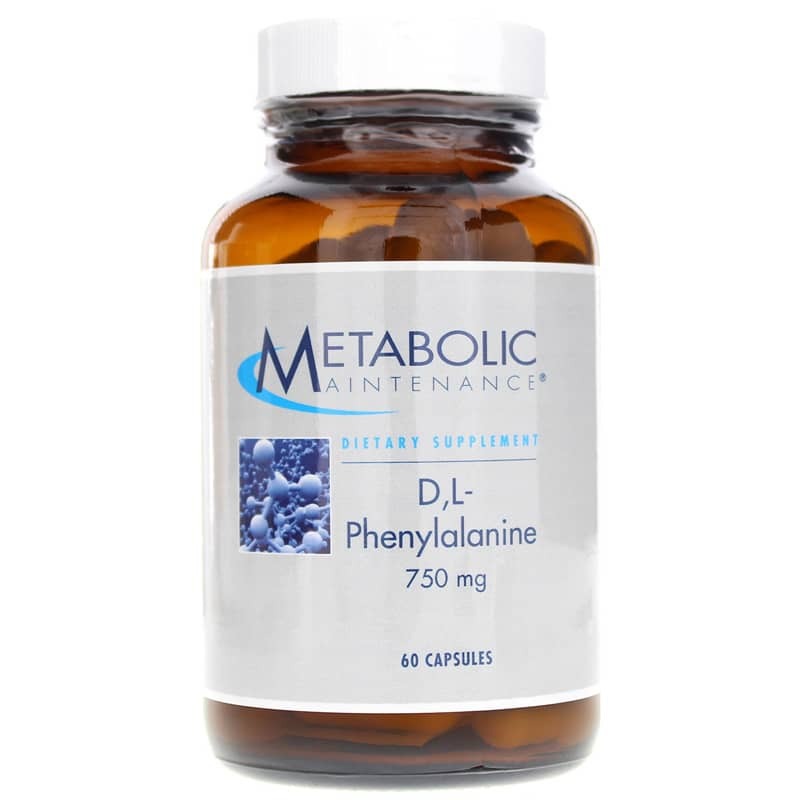 DL-Phenylalanine from Metabolic Maintenance provides both the D and L forms of phenylalanine to support your mental state and mood, as well as your sensitivity to pain. 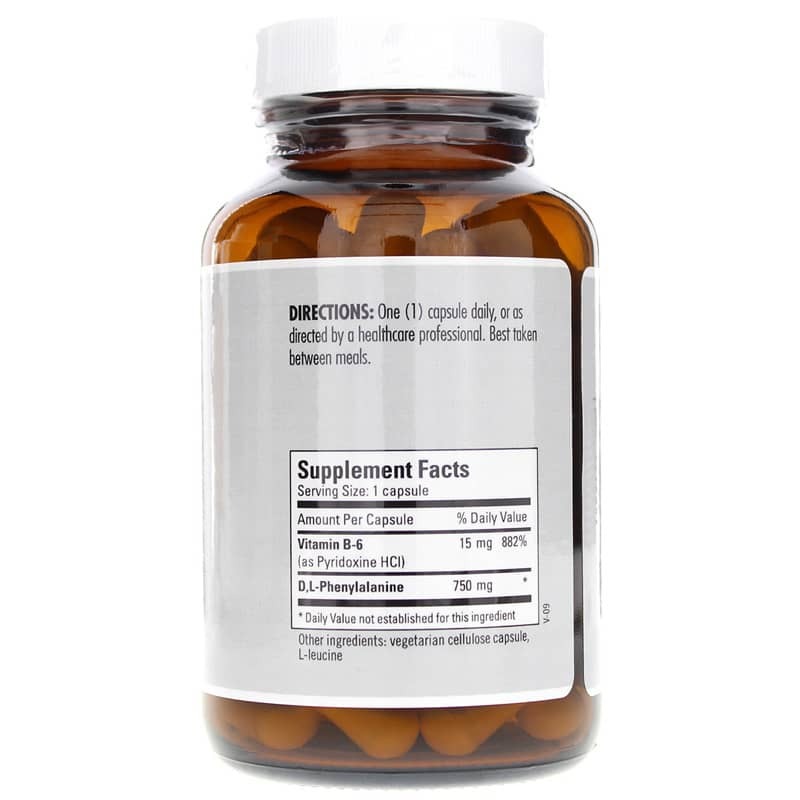 Metabolic Maintenance DL-Phenylalanine comes in an easy-to-swallow capsule form and only needs to be taken once daily for optimal benefit. Give it a try today for an enhanced mood and optimal pain relief from physical discomforts. Order now! Adults: Take one capsule daily as a dietary supplement, or as directed by a healthcare professional. 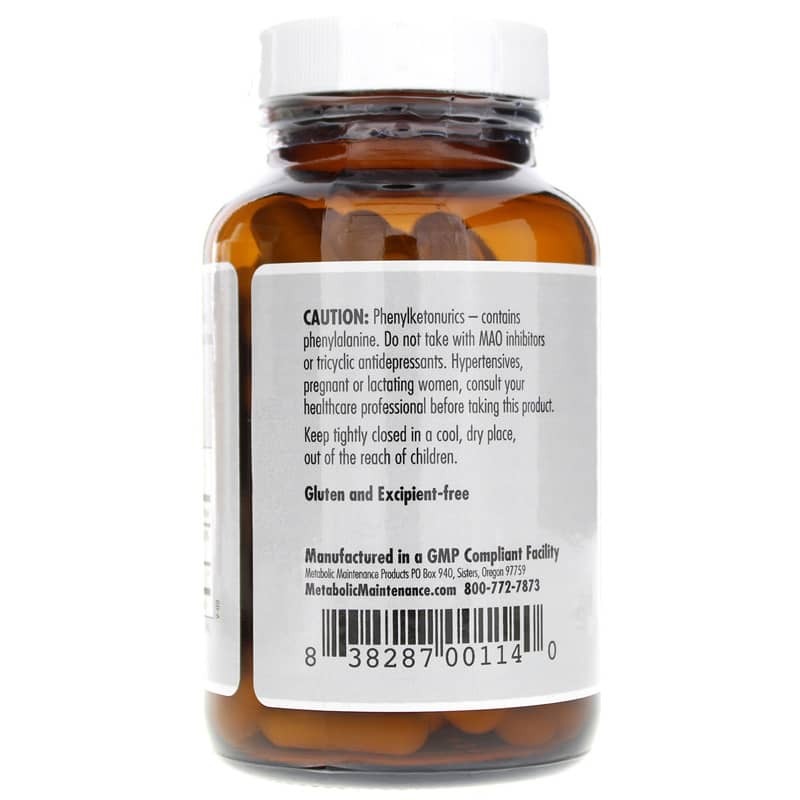 Phenylketonurics-contains phenylalanine. D,L-Phenylalanine should not be used with MAO inhibitors or tricyclic antidepressants, or those who have PKU or hypertension. If you are pregnant or nursing, please consult your healthcare professional before using this product. Keep out of the reach of children.